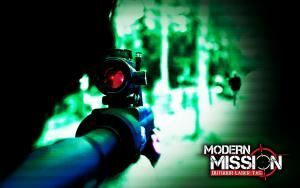 Modern Mission Outdoor Laser Tag in Fayetteville, Arkansas is Northwest Arkansas' premier destination for outdoor laser tag fun. Modern Mission has a HUGE facility that is perfect for outdoor birthday parties, major corporate events, family and class reunions, and just about any special occasion you can imagine! Located in Fayetteville, Arkansas, there is no shortage of fun. People travel from Missouri, Oklahoma, and all over Arkansas just to play laser tag at Modern Mission. Looking to build a stronger team? Modern Mission offers unique, fun team building exercises. We offer all the fun of paintball without the pain or bulky gear! Check us out at www.modernmission.com today!